Say hola to these Day of the Dead inspired skull treats that are so killer that they might be the death of you. No matter what you call it, Día de Los Muertos, Day of the Dead, or All Saints’ Day is an important celebration of remembrance and the acknowledgement of the passing of loved ones. As a college student, it can be tough to stay up-to-date on the many holidays that fly by, especially the one that comes the day after Halloween. But on November 1st and 2nd, even if you don’t celebrate Day of the Dead, you should learn a little bit about Mexican culture and the tasty traditions that come with it. 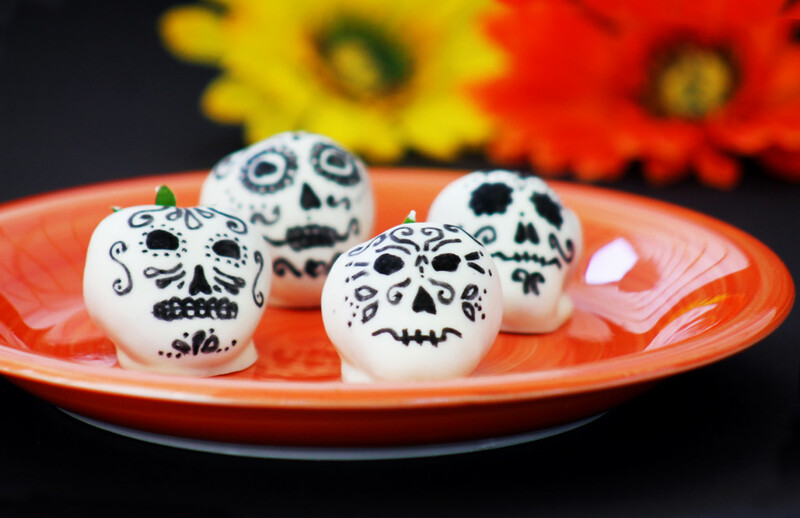 Being the major foodie that I am, and seeing as my birthday is also November 2nd, I took it upon myself to find desserts that put a twist on this holiday’s traditional sugar skulls that will be sure to cheer you up after your post-Halloween blues. Come on, who doesn’t love brownies? These adorable and ridiculously simple boxed brownies are perfectly festive and hit the spot when you’re craving something sweet or want to whip up something to celebrate the sweetness of life. Made with super easy cookie cutters, these sugar skull brownies are delicious covered in powdered sugar. This killer rice krispie skull recipe will be the snap, crackle and pop to your day after Halloween. Formed with skull moulds, or free-hand if that suits your fancy, these skulls combine two of the best things on earth — marshmallows and butter — to create the ultimate Día de Los Muertos dessert. And if you’re feeling extra creative, decorate your skull as desired with bright icing to represent the brightness and color of life. For those of you who want to get your daily fix of fruits after Halloween, look no further. These white chocolate-covered strawberry skulls are not only the most darling dessert, but they are also delicious. Dipped in decadent white chocolate with delicate skull designs, these strawberries are a healthier substitution for the classic solid sugar skulls, but still can be used as ofrendas (offerings) in your Day of the Dead altar. Don’t worry: these homemade caramel apple sugar skulls aren’t the killer kind. If you can believe it, this quintessential fall dessert has been made even better with the addition of a layer of melted white chocolate and the cutest colorful piping designs to help you say adios to Halloween. Don’t let it fool you – this sweet treat infused with orange blossom flavor is not technically a sugar skull, but decorated with crossed pieces of dough resembling the shape of a skull and bones, pan de muerto is hard to beat. Best paired with hot chocolate and some sprinkled sugar, “bread of the dead” is an essential element to any altar to honor the deceased.